Are you wanting and ready to wake up before your kids?? Ever wondered what life might be like if you were to wake up BEFORE your kids?? 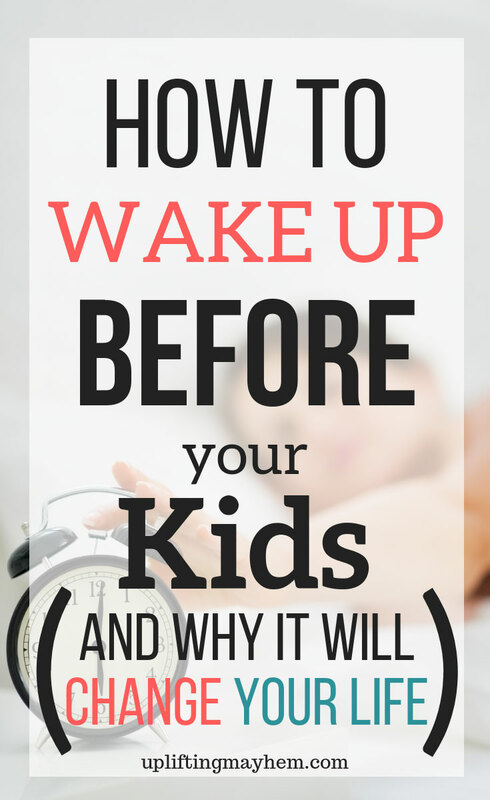 Here is how to wake up before your kids and why it will change your life! If you are a mother, you know what it is like to start and end your day with kids. Being a mother and raising kids is the noblest calling on earth! That being said, it is also one of the most thankless jobs, and the endless beckoning from the little minions that call you “Mom” can be exhausting and you may wish that you had a remote with a very large PAUSE or MUTE button just to survive the day! I have always wished I could be a morning person. Unfortunately, the Night Owl in me always robbed me of the desire to leave those sheets any earlier than I absolutely had to. This past week has shown me what I have been missing all these years. Those who have read my previous posts know that I pledged to go to bed early and wake up early to see if Early Birds really had an edge on life. 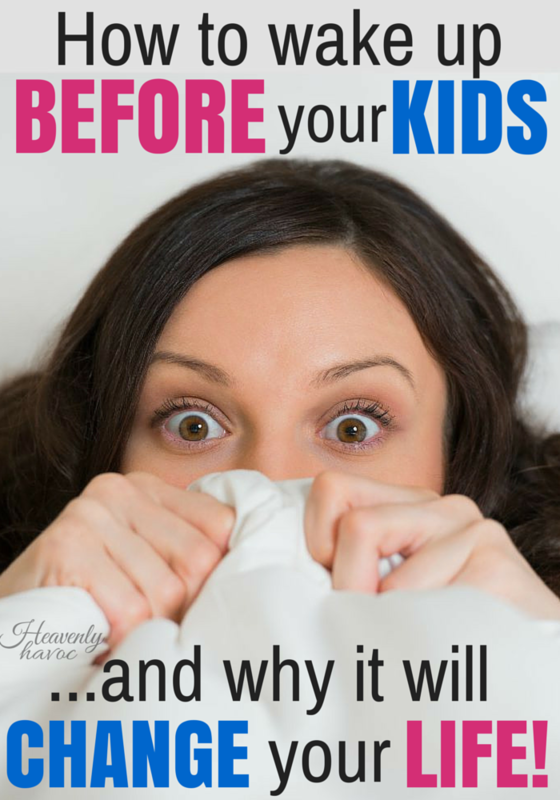 Why should you wake up before your kids? I will give you my 5 top reason why I did! #1 – Having personal ‘me’ time is absolutely essential to being a great mom! So many moms just think it is their lot in life to endlessly serve their families but forget than in order to do that, they first need to fill their own cup! You can not give living water from an empty well, and families today desperately need that living water! YOU are the eye of the storm at your house, and how YOU start your day will determine if all hell will rage or if peace will reign (I am only speaking here from my own personal experience). Waking up early has made a tremendous difference in how I interact with my kids. I have been very pleasantly surprised with this outcome. I have always taken my ‘personal time’ at night but have found a huge difference in doing it BEFORE my kids wake up as opposed to AFTER they go to sleep! Just sayin’…..
#2 – Waking up early has made my productivity SOAR! If you want to really tackle that to do list, wake up early! I’m sure there are studies as to why this is and I didn’t research them for you (who has time for that?? ), all I know is it just works! I got more accomplished in the first 3 hours of my day than I ever did late at night! #3 – My mind and thoughts are more clear. I go walking in the morning, and sometimes listen to an inspirational talk or music. I find ideas and inspiration popping into my head like never before! I can say my prayers in the silence of the morning without the background noise of my children or having them climb on my head! Even right now, as I am writing this post, I feel as though I can write faster and the inspiration of what to write just comes! #4 – My health has improved. I know it’s hard to really tell after one week, but I feel more of a desire to get that walk in, which then leads to eating a healthier breakfast, and the domino effect just keeps on going throughout the day! Plus, getting to bed early, in itself, is just healthier for the body! #5 – My time with my kids is less rushed! Because I’m not in a hurry to get them to bed to have my personal time at night, I’m more likely to want to read to them longer and also do more things with them throughout the day. It’s still a work in progress, but it’s definitely improving! Ok, now for the HOW! Here were the 7 things that helped me the most in my efforts to wake up before my kids! 1. Go to bed EARLY! Early for me was anytime before midnight, so the goal was 10 but it took some time for my body to WANT to go to sleep that early. 2. 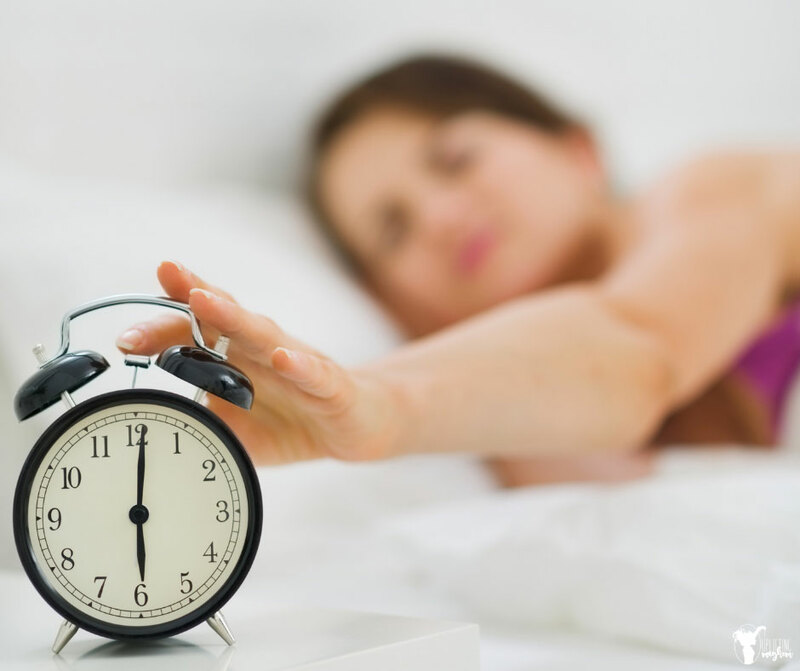 Put your alarm clock (or phone) FAR away from your bed but close enough for you to hear! You want to force your sleepy self to have to get out of that bed! 3. Set out your workout clothes (or regular clothes if you don’t want to workout) the night before. You will not want to use those brain cells right when you wake up and if the decision of what to wear has already been made, then you’re already one up on your day! 4. Either GET OUT THE DOOR or GET IN THE SHOWER! Those first 5 minutes after you wake up will either make you or break you! I found, that if I could just muster enough self-control to get through the first 5-10 minutes, then I was fully awake and ready to pounce on my day! Keep that in mind when you are longingly eyeing those soft comfortable sheets! Don’t say, “If I get up early, I can tackle my messy house!” (unless that kind of thing excites you) Think of something that you really LOVE doing and let that be your motivation for getting out of bed. I’ve been trying to clean my house the night before so I don’t have that screaming in my ears when I wake up. I want to blog, not clean! Set a goal (1 day, 1 week, etc) but make sure it is realistic and reward yourself for making it that far. My birthday is coming up in another week and my husband has taken that day off work so that I can just pamper and party! 7. I forgot to also add…install black out curtains in all your kids bedrooms. Trust me. You’ll thank me later. Your welcome! What are you waiting for? Start tonight! You’re sanity will thank you and your family will thank you! This post was originally published in July 2015. It has been updated and edited Sept 2018 for ease of reading.